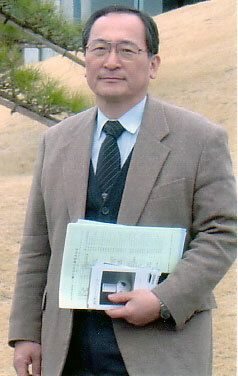 In the Fall of 2006, I was asked to take over the management of Tsukuba International School (TIS). In April 2008, I officially became the head of the school. There are currently around 7200 foreign residents of Tsukuba, including many students and researchers, representing approximately 130 different nationalities. In order to provide an educational opportunity for the children of these foreign residents, the city must have an international school where classes are held in English. In addition, the continued existence of the international school must be assured, and the curriculum be up to standard, so that parents and guardians will feel comfortable sending their children to the school. In order to respond to the needs and expectations of the parents of international children, I have worked since 2007 to obtain official school status for the school from Ibaraki Prefecture. In March of this year, the school was given permission to construct a new school building: a two-storey, 1085m2 log-house style building with 10 classrooms which is scheduled for completion in April 2009. The new building will be located in a lot adjacent to the current school facilities at Kamiyamori Finnish Log House (my personal residence) in the Kamigo area of Tsukuba. Learning environment and teaching staff play a central role in education. TIS students receive their education at Kamiyamori, a natural wood building in Kamigo which is an area of Tsukuba that is blessed with rich, untainted landscape. We humans have been destroying our natural environment for many years now in the name of modernization and one of the most serious issues we face in the 21st century is how to foster citizens of the world who can co-exist amicably with nature. By making efficient use of the intellectual infrastructure provided by the close to 300 research institutes in the vicinity and by taking advantage of the urban amenities afforded by the city of Tsukuba, our school aims to produce students who can become the new pacesetters of the 21st century. Our staff is comprised of qualified native English-speaking teachers who have a strong sense of their mission and many years of experience. Our teaching staff treat every child as a unique individual, and are careful to respect the various cultural backgrounds from which the children come. Students learn both tolerance of others and discipline of self. In addition, since the school is located in Japan, the children also learn about Japanese culture and their local community in Tsukuba. Tsukuba International School welcomes children of all nations who would benefit from receiving their education in English, regardless of their race or religion. We are planning on starting classes at the middle school level in two years. We are also working towards obtaining international accreditation for our primary and middle school curricula. We welcome the enrolment of all children whose parents agree with the principles of our school. We also welcome the guidance and support from those in the community who can contribute to the educational environment at our school. If you would like to get more information about our school, please visit our website (www.tis.ac.jp) or contact us to arrange for a school visit.